Move over Westminster Kennel Club, there’s a new dog in town: chickens. Premiering at Hot Docs Canadian International Documentary Festival on April 30, 2017, Pecking Order takes audiences on a trip into the strange and hilarious world of competitive chicken pageantry. In an eggshell, this feel-good, feather-ruffling documentary can be summed up as Best In Show with chickens. But feathers start to fly when infighting breaks out in the club during the run-up to the 2015 National Poultry Show. Egos start clucking and tempers peck, bringing 148 years of club pride and tradition to the cracking point. 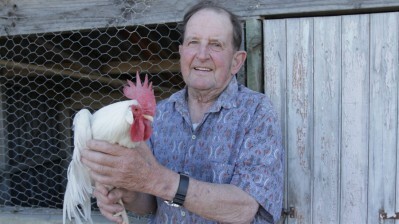 Fierce rivalries, problematic birds and irregular judging are only some of the challenges faced by a group of zealous Kiwi chicken breeders hell bent on victory. We caught up with director Slavko Martinov to discuss his experience making the film and the complexities of poultry pageants. Watch right til the end for a great chicken pun! Watch the trailer for Pecking Order below. Tickets are available at hotdocs.ca.